As sports-content creators look to virtualize parts of their ecosystem to increase flexibility and scalability, they must weigh the opportunities of relying on SaaS models and cloud infrastructures with the potential risks. 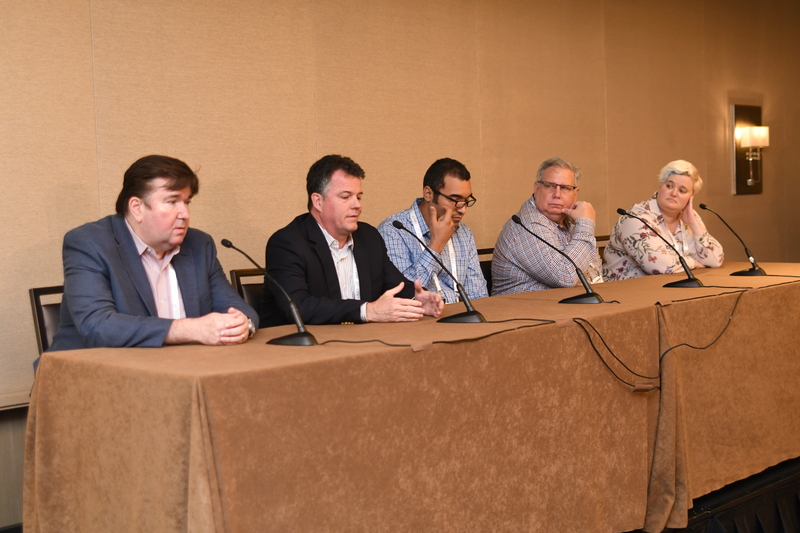 Technology leaders addressed both sides of the scale at SVG’s recent Sports Content Management and Storage Forum in New York City. Emily Hopson-Hill, VP, services, Ooyala, kicked off the discussion with a look at the opportunities that virtualization can offer. Mike Flathers, CTO, Aspera (an IBM Company), discussed the added issue of latency when virtualizing all or part of the production workflow and relying on the cloud. Hector Diaz, customer engineer, Google Cloud, discussed certain applications that add to network latency. But, he said, the key will be giving the production and technical personnel the keys to navigate virtualized workflows in the cloud. For Padraic Boyle, senior director, enterprise media, MLB Advanced Media (MLBAM), one of the biggest concerns in relying solely on cloud infrastructure is security and reliability; specifically, how MLB protects its valuable archived assets. According to Scott Bounds, industry lead, Microsoft, the decision on how to virtualize all or part of the production workflow and how to utilize cloud infrastructures lies with the client, but vendors like Microsoft, Google, and Amazon can help navigate those decisions.